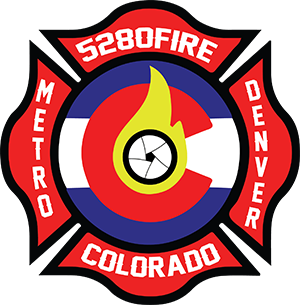 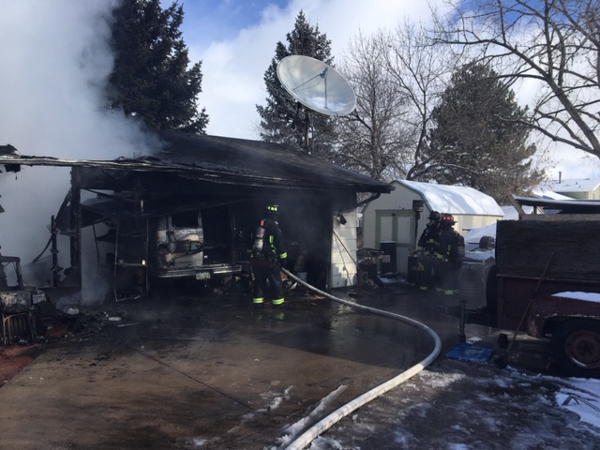 At approximately 10:30 on January 24th, 2019 Greeley Fire Department responded to a report of a structure fire with multiple callers on the 800 block of 29th Ave. First arriving Engine 3 reported a fully involved detached garage, assumed command and stretched a 2 ½” attack line. 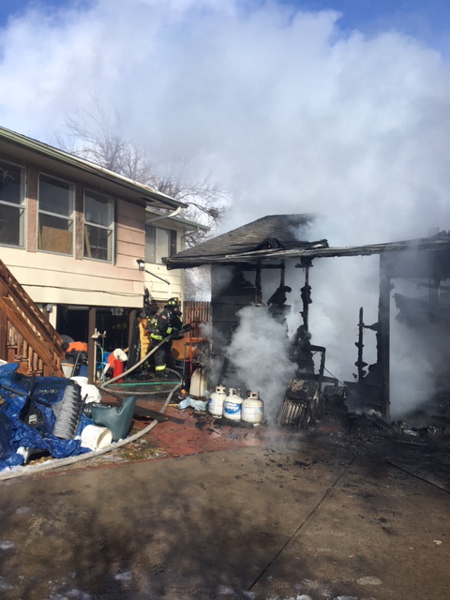 Later arriving companies were put to work searching the exposed house and stretching additional attack lines to support the fire attack and search of the exposure. Crews performed a defensive fire attack on the main fire building which had a partial collapse of the roof. 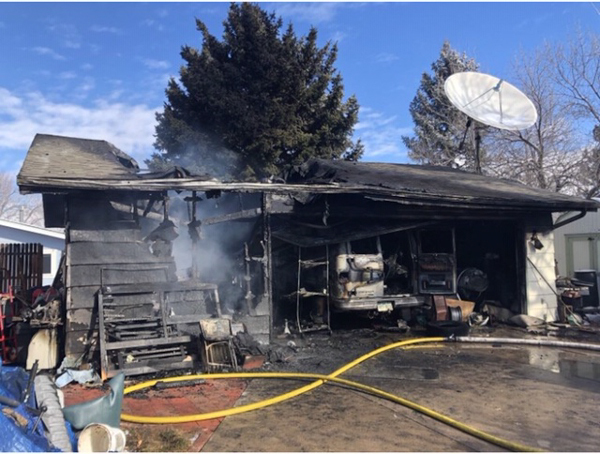 The fire was prevented the fire from extending to the exposure and searches of the home were negative. 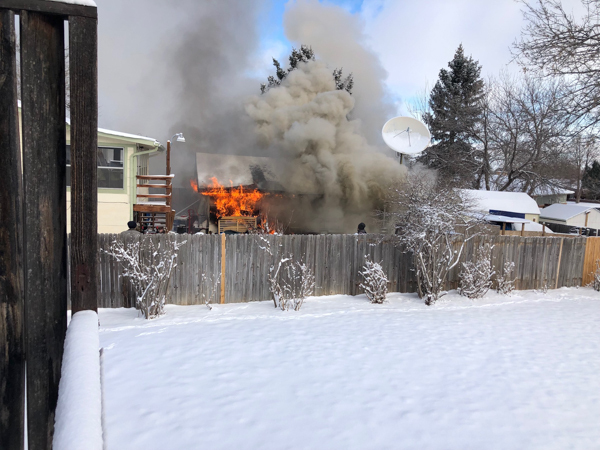 Fire was extinguished within approximately 15 minutes. 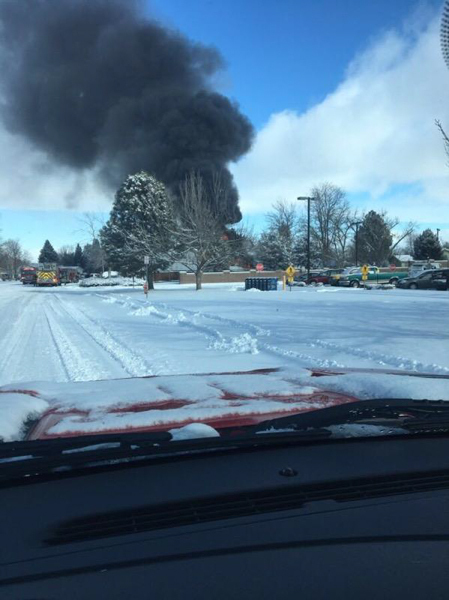 Additional informationa provided by Greeley Fire Department.